Acute rheumatic fever (ARF) is a systemic illness that occurs 2-4 weeks after pharyngitis in some people, due to cross-reactivity to group A β-haemolytic streptococcus (GAS), also called Streptococcus pyogenes. Streptococcus pyogenes is a gram-positive cocci and it produces two cytolytic toxins: streptolysin O and S.
Rheumatogenic strains of GAS contain M proteins in their cell wall and are immunogenic. B cells are stimulated to produce anti-M protein antibodies against the infection which also cross react with other tissues e.g. that of the heart (causing rheumatic heart disease), brain, joints and skin leading to a constellation of multiorgan signs and symptoms. This is also exacerbated by production of activated cross reactive T cells. The Revised Jones Diagnostic Criteria (below) describes the key clinical features that may be present. 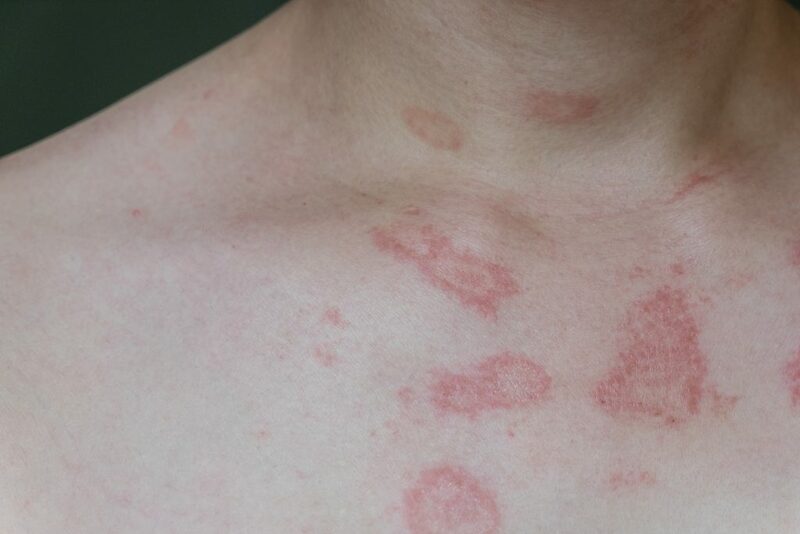 In addition to this, you may elicit from the history that they had a recent sore throat or scarlet fever. Also, in severe acute rheumatic failure, a heart murmur might be heard on examination and it is most commonly the mitral valve, which is affected. Positive throat culture for Group A β-haemolytic streptococcus or elevated anti-streptolysin O (ASO) or anti-deoxyribonuclease B (anti-DNASE B) titre. *Joint (arthritis or arthralgia) and cardiac (carditis or prolonged PR interval) manifestations can only be counted once, not twice, as either a major or a minor criterion. Thera are numerous differential diagnoses to ARF, but below are examples of a few differentials and their distinguishing features. American Heart Association Committee on Rheumatic Fever, Endocarditis, and Kawasaki Disease of the Council on Cardiovascular Disease in the Young. Revision of the Jones Criteria for the diagnosis of acute rheumatic fever in the era of Doppler echocardiography: a scientific statement from the American Heart Association. Circulation. 2015 May 19;131(20):1806-18. Prevention of rheumatic fever and diagnosis and treatment of acuteStreptococcal pharyngitis: a scientific statement from the American Heart Association Rheumatic Fever, Endocarditis, and Kawasaki Disease Committee of the Council on Cardiovascular Disease in the Young, the Interdisciplinary Council on Functional Genomics and Translational Biology, and the Interdisciplinary Council on Quality of Care and Outcomes Research: endorsed by the American Academy of Pediatrics. Circulation. 2009 Mar 24;119(11):1541-51. How long after pharyngitis does acute rheumatic fever typically present? Which one of these is not a risk factor for ARF? Which of the following is a minor criteria for ARF? What is the initial management? Which virulence factor causes B cells to produce a substance that cross reacts with tissues in the heart, brain, joints and skin?